If you live in Colorado and you’re trying to adopt a Bengal kitten or Bengal cat, your best choice is to go to a Bengal breeder. These are people who specialize in this breed and really understand the personality traits and how to care for them. If you’re hoping to find a Bengal cat at an animal shelter, you’re out of luck. Bengal cats are an exotic breed and this makes it extremely unlikely one will ever end up there. 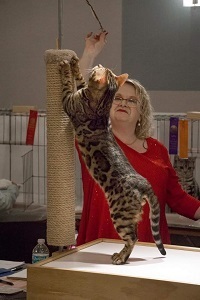 Finding a Bengal cat breeder in Colorado can be difficult, but we’ve done all of the hard work for you. 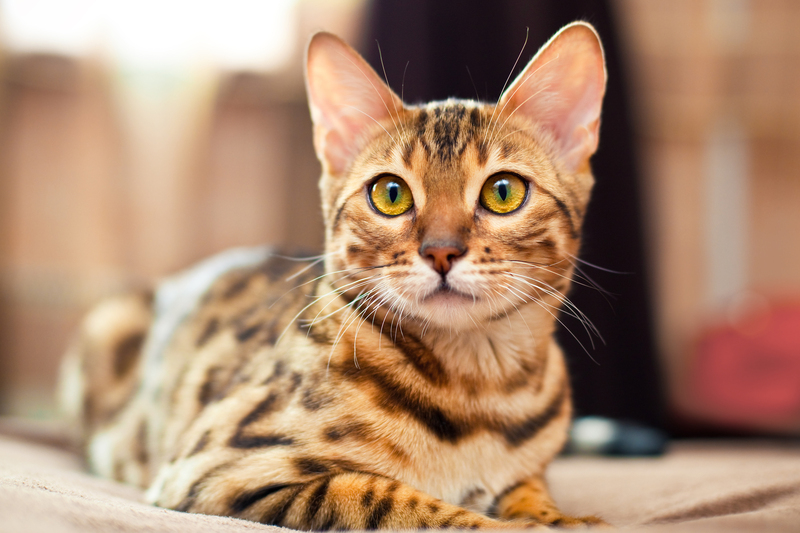 We’ve spent hours researching to find all of the different Bengal cat breeders in Colorado and below you can see our list. Use the information below to research and feel free to contact the breeders if you have questions. My name is Shannon and I'm from 1StopBengals. We are a TICA Reg. Cattery. We have a few exceptional upcoming litters Due May/June 2019 and ready to go late summer /early fall from Champion Parents. You can go to this page to see everything your Bengal Kitten comes with. The Parents for these litters are health tested & HCM normal. We offer a 3 year Health guarantee. If interested, please fill the kitten application out here. We are expecting possible Silvers & Snows, Blues and browns. We are located in Colorado but do ship within the USA at buyers expense. How They Describe Themselves: Beautiful Bengals breeder mission is to consistently produce Bengal kittens that are genetically healthy with distinctive, dynamic , cutting edge pelts and loving personalities. Beautiful Bengals adhere's to High Bengal Breeding standards using superior breeders as our foundation that are descendants from the most prestigious, award willing , Championship bloodlines,pedigrees in the world. How They Describe Themselves: We are excited to start our journey with Bengals. CelticKatz is based in Arvada, CO, and is labeled as a "Hobby Breeder", meaning we will have no more than four litters per year. Being a small in-home cattery will afford us the time necessary to give every kitty all of the attention it deserves. How They Describe Themselves: Breedings for health, temperament while keeping the TICA standards. We have a great love for the Bengal cats! How They Describe Themselves: We are a small cattery located in Arvada Colorado. We are Licensed in the State of Colorado. As a small Cattery, all of our kittens are raised as a part of our family with wonderful temperaments, our kittens are held from the day they are born until they go to their forever homes. What this means for you, we only have one litter at a time and no more than two litters per healthy queen a year. This value allows us to produce top quality, healthy, affectionate cats one litter at a time. How They Describe Themselves: Aspengold Bengals is an in home cattery located in Castle Pines, CO. We have been serving the Denver, Colorado area including Englwood, Colorado Springs, and Castle Rock CO. We have been enjoying our Bengal cats for 19 years now and have had a lot of fun showing and breeding them for the purpose of improving the breed. We see such a striking resemblance between the glittering Aspen trees in the Rocky Mountains in the fall and the golden glitter in our Bengal's coats, hence our name. How They Describe Themselves: At Mirabell Bengals we breed and have Bengal kittens available all year long. 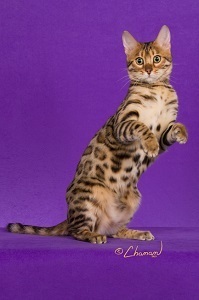 They come from the top champion lines in the country combining the best qualities of our beloved bengals: great health,fun and friendly character, beautiful wild look and conformation and, of course, clear brilliant patterns! 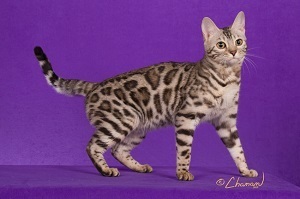 We usually have Bengal kittens available in Brown, Silver & Snow Spotted/Rosetted patterns. How They Describe Themselves: Breed for type, large rosettes, personality and sociability. We breed brown, mink and lynx spotted Bengal kittens. We breed nothing but the best quality and bring in the best quality Breeder cats from around the world. 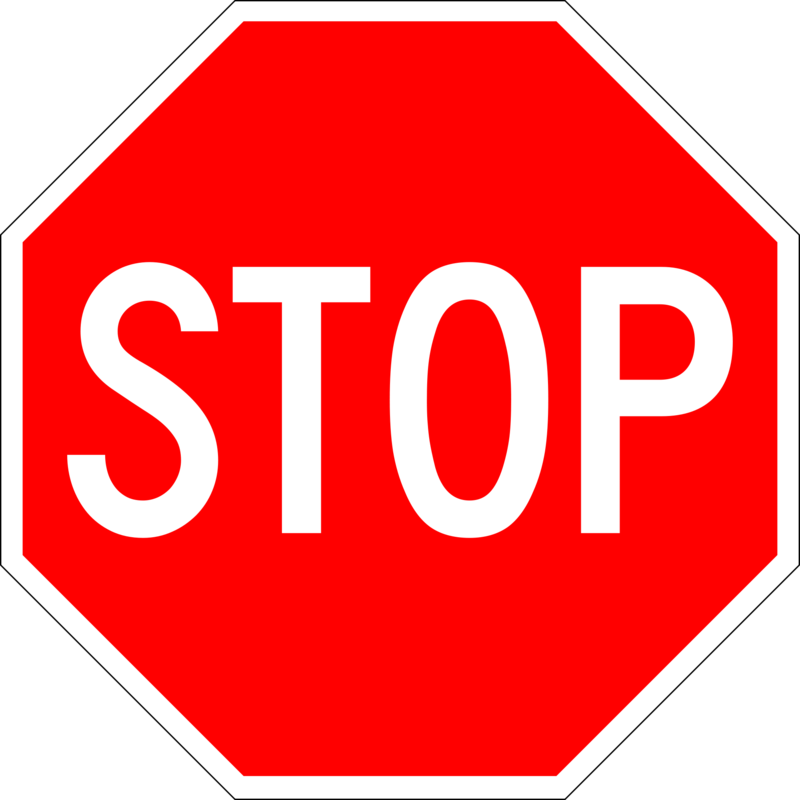 Not finding what you want with the Bengal cat breeders in Colorado? Sometimes this happens as most small catteries only have one or two litters per year. If you’re looking to adopt a Bengal kitten or adopt a Bengal cat, you have two choices. First, you can find out from the breeder(s) above when litters are expected and be put on a waiting list. Or, you can contact breeders in other states near you.